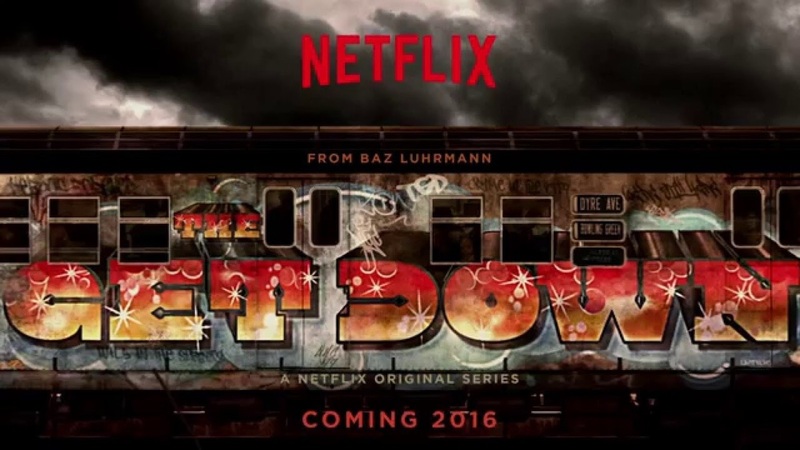 In case you've missed it, Netflix just launched a new original series, The Get Down. 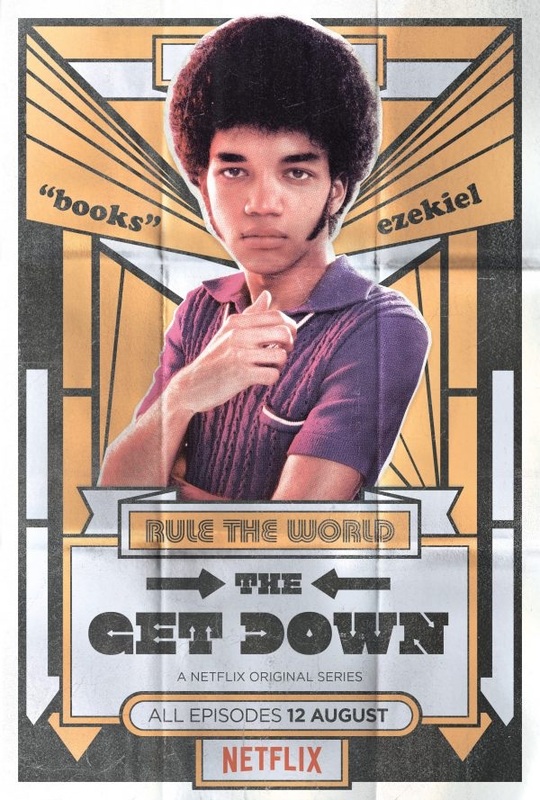 The Get Down focuses on 1970s New York City - broken down and beaten up, violent, cash strapped -- dying. Consigned to rubble, a rag-tag crew of South Bronx teenagers are nothings and nobodies with no one to shelter them - except each other, armed only with verbal games, improvised dance steps, some magic markers and spray cans. From Bronx tenements, to the SoHo art scene; from CBGBs to Studio 54 and even the glass towers of the just-built World Trade Center, The Get Down is a mythic saga of how New York at the brink of bankruptcy gave birth to hip-hop, punk and disco -- told through the lives and music of the South Bronx kids who changed the city, and the world...forever. The Get Down is an amazing period piece set in The Bronx during the 1970s, a time where The Bronx was literally burning due to slumlords burning down their buildings in order to collect the insurance money. A time where drug use and crime was at an all time high and through all this a little culture called Hip-Hop began to blossom. You may or may not have heard of it. Netflix has released six episodes of the series, dubbing it 'part 1.' The first episode is longest one and for good reason. The first episode sets up the story and it does it well. The narrative pulls you right in to the scene with powerful wordplay done by, Nasir Jones, you may know him as Nas. Nas, plays the older version of the main player in this story, Ezekiel "Zeke" Figuero. Throughout each episode Nas will give you the breakdown through rhyme of basically what the episode is going to be about and it's a really dope concept that could of came out extremely corny but they pulled it off effortlessly. It would of been nice to actually see Nas performing this instead of a different actor, but I get why they had to go with a different actor, and just dub Nas's voice in. It would of been quite a head scratcher trying to out how Zeke in the show grows up to end up looking like Nas. The Bronx shines in this show. I'm from The Bronx and so I'm a little bit biased, but seeing the areas they filmed and going 'wow that's right down the block from me, or wow my barber shop is right there' - yeah it really impressed me. They could of filmed it in a studio somewhere, but the fact that they used real areas of The Bronx really showed the dedication to making something that was real and it paid off big time. The merging of filmed scenes, blended in with real stock footage of The Bronx in the 70s was seamless, and played off well in reminding us that; although this story is fictional and loosely based on history, this place, this setting, this really existed. There is no fiction in the setting, this was The Bronx. This was New York City. The cast of The Get Down delivers. It feels like everyone, all the way down to the minor characters where born for these roles. The story lives and dies by these actors. Anytime a story is based in dialogue, as well as, song you're skating on a thin line of greatness and cheese. These actors are able to take you from song to dialogue effortlessly and you never feel a disconnect. A lot of fresh faces such as lead actor, Justice Smith, whom plays Ezekiel takes complete control of the show, and dominates all his scenes. This being the biggest thing he's been apart of he is making a great impression, and this looks like only the start of an amazing career for the kid. Jaden Smith, who is probably one of the more recognizable names attached to this show, nails his role as, Rumi, the graffiti artist who spends most of his time with his head deep in the ether. Jaden Smith impresses and I can't help but think it is because this role is as close to Jaden Smith's actual personality that he's ever had a chance to play. If you've hated, Jaden Smith, in anything before this (After Earth) I would hate for you to bring that chip into this show with you. You're going to see Jaden Smith, as courageous as he's ever been giving you a highlight performance that you may have never thought he could deliver. This cast plays well together, and you get the sense that they really enjoy working with each other - it shows in every scene. The support characters seem every bit as important as the main characters. Each arc, and storyline intertwine almost perfectly and each storyline is just as interesting and important as the main storyline. If you enjoyed movies such as The Warriors, Wildstyle, The Last Dragon, Shaft, And I mean any classic you can think of from this time period, well those are all some how all meshed into The Get Down and it's beautifully arranged with an insane balance of fantasy and reality. If you're an hip-hop enthusiast, a 70s guy, or you just like watching good strong shows. Look no further. The Get Down is Officially Binge Approved.